The 2017 Commons Street Feast in Commonwealth Park is only weeks away. Photo: Commons Street Feast. The festive season will be in full swing at the end of the month when Commonwealth Park sets the table and spreads the picnic blanket for 10 days of food, drink, entertainment and much more. 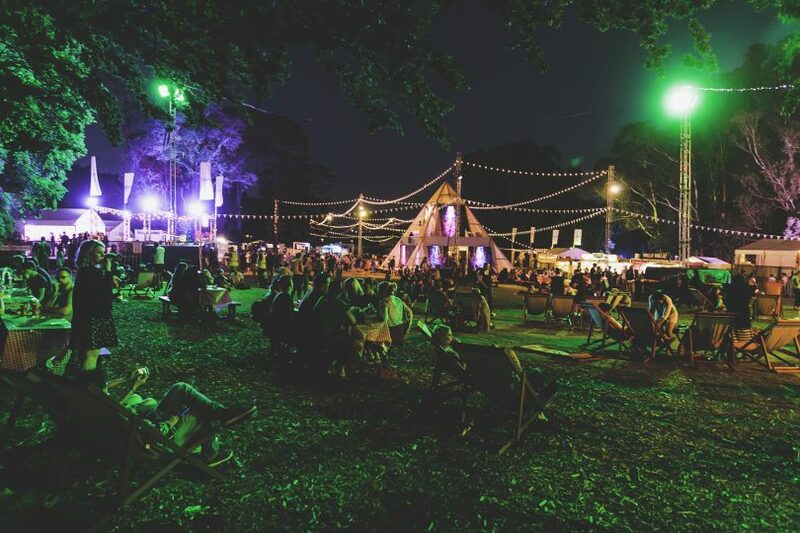 The ‘Commons Street Feast’ returns to Canberra from 30 November to 10 December, bringing more than 20 of Australia’s most mouthwatering food trucks, dedicated craft beer and wine bars, the Pimms Garden, plus a host of events, entertainment, and installations. The free and cashless (card only) event is open to all ages with licensed 18+ bar areas on site. For the past 12 months, the Commons HQ has been eating its way around Australia to find the very best eats for the 2017 street feast. This year’s event will include food trucks from Hoy Pinoy, Down N’ Out, Mary’s, Gelato Messina, Maverick Wings, Pimp My Chimney, MEET, De Wafel, Kransky Brothers, Killa Fries, Two Fat Indians, Getintheq, The Avocado Hut, That Arancini Guy, Soul Cartel, Graze Expectations, and Twistto. 2016 favourites Gelato Messina will serve a custom dessert range exclusive to The Commons, and Mary’s will introduce its fried chicken to Canberra, alongside its ‘get fat’ burgers. Canberra’s growing craft beer reputation means you will be able to wash down your meal with the pick of the capital’s best brews. If beer is not your tipple, the Commons Wine Bar will be serving the best vintages from the lauded Canberra region wine district, plus a few Australian favourites. Or quench your thirst with a classic summer cocktail, not to mention enjoying ‘Pimms’ Summer Garden Pop-Up’, where refreshing aperitifs will be served throughout the event. Want to be waited on? The popular Butlers are back to take orders, queue, deliver food and drink to reserved tables and even curate a menu. Butler bookings will open in early November, with subscribers receiving first access. It’s not all about the adults. The Commons will have a range of kids activities available during the day on the weekends, including roving street performers, face painting and a visit by a very special Christmas guest. You can even bring your dog, with The Commons hosting a Dogs Day Out on Sunday 10 December. Commonwealth Park’s open grassy spaces are perfect for the picnic blanket but there will be plenty of picnic tables, seating in the pop-up bars and restaurants, and deck chairs for hire. And for a Christmas party with a difference, the Commons is open for bookings. The Commons will be open from 5 pm to 9 pm Monday to Wednesday, Thursday 5 pm to 10 pm, Friday 5 pm to 11 pm, Saturday 12 pm to 11 pm, and Sunday 12 pm to 9 pm. The Commons Street Feast is partnering with Her Canberra, Hit 104.7 and Visit Canberra, and supports OzHarvest as the 2017 charity partner. The Commons subscribers will have access to competitions, event announcements and more. For more information visit The Commons Street Feast website. I haven’t eaten food from a truck for about 50 years. Back then it was after a hard day marching with full infantry pack to a bivouac north of 3TB Singleton. The menu was simple and hearty and consisted of braised beef (not pulled, deconstructed, applewood smoked or foraged). It was not unctuous in texture. As accompaniments, there were three vegetables, mashed (not smashed) potatoes, un-massaged cabbage and tinned peas. There was a non-artisan bread roll and large mug of Billy designer tea as a treat. Last year’s event set a high benchmark … let’s hope for a repeat performance this year. So the penny has finally dropped that since Kate Carnell axed the much-loved and iconic Food and Wine Frolic in 1994 there has been a huge void in Canberra’s cultural and culinary calendar. Since then we’ve seen several attempts to start festivals, etc to fill the void. Enlighten, the container village, various pop-up events. But all along we have been yearning for a revival of the Food and Wine Frolic without the behavioural and drinking problems which caused the canning of the original event. This might not be the Frolic reborn but it is a start. An upmarket culinary and community event in Commonwealth Park in the leadup to Christmas. Because it is spread over ten days rather than being a one-off for a few hours, the temptation to binge drink should be absent and we can enjoy the food and atmosphere in a relaxed and comfortable fashion. Here’s to a great new Canberra festival and let’s hope it becomes as iconic and fondly regarded as the old Food and Wine Frolic.